It's been a month since Memphis-born musician Jimmy Lee Lindsey Jr., better known as his musical moniker Jay Reatard, died of cocaine toxicity, according to Shelby County Medical Examiner Karen E. Chancello. Reatard was only 29, but he'd been recording (and actually selling records to people other than his parents) since he was 15. His music is technically classified as punk, but many songs, especially newer stuff, has more of a pop-punk feel to it. Reatard's last album, "Watch Me Fall," came out in August of 2009 and I happened to be in Long Beach for the album's CD release party at Fingerprints Music. I'd never really heard much of him before, but the packed record store proved that plenty of people had. For awhile it looked like he wasn't going to come out of the "Employees Only" section where we could see him drinking from one of those red plastic cups, but once he joined his two band mates on the makeshift stage it was like he woke up. There were people standing a foot in front of him (it was a pretty small store) but he didn't make eye contact with anyone, his face covered by hair as he slammed his body around the stage, bouncing off the drum set and surrounding record shelves. The performance was powerful and unrelenting, with pretty much no break from music at any point throughout the hour or so Jay Reatard played. He didn't say anything between songs, other than to mumble the name of the next song into the microphone for his bassist and drummer. Usually I find it mildly annoying when I go to a show and the whole thing is practically ripped straight from the band's latest album, but Jay Reatard was so into the music that the lack of between-song banter didn't bother me at all. It was pretty clear that the only thing he cared about was the music itself, not the crowd, or even his band, both guys who actually ended up quitting a month later. OK, so maybe Jay Reatard wasn't the biggest people person- he didn't say anything except a surly "thanks" to anyone as he signed autographs after the show, just kept his head and marker down as he drank from a cup of what smelled like whiskey- but his music clearly connected with people, even if he as a person didn't. 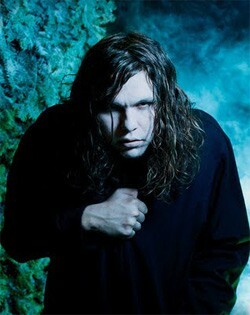 His death on January 13 stopped short a career that may have had Jay Reatard on a path to musical greatness. But, even now that Jay is gone, his music's still here and worth giving a listen- particularly songs from "Watch Me Fall" like the single "It Ain't Gonna Save Me," and "I'm Watching You."